It’s tough to make any meaningful return on your savings. Interest rates for savings accounts have been notoriously low for years. BankAround says the average interest rates paid on checking and savings accounts are 0.11% and 0.16%, and the biggest banks often offer worse. In fact, if you put $5,000 in a regular Bank of America savings account (0.01%), in a year you’ll only have collected 50 cents in interest. So, I thought I was doing well making 1.25% on my savings account at My Savings Direct. But when they recently lowered the interest rate to 1.10% (which is still better than most banks), I started to look around. Now, at least part of my savings is making a 5% APY (annual percentage yield). And yes, it’s in an FDIC-insured account. There actually are several places where you can make 5% on checking and savings accounts. But you’ll have to meet a few requirements. Even though they pay much higher interest rates, you won’t find rewards checking accounts on a typical list of the best checking accounts. They’re in a category of their own, and you can’t simply deposit your money and forget about it. These accounts require a little work and organization if you want to get the maximum APY. But the maximum APY can be as high as 5% — more than 30 times higher than the national average — so these accounts may be worth the trouble. For example, Northpointe Bank’s Ultimate Checking Account pays 4.89% interest, which works out to a compounded 5% APY. So what’s the catch? You can only get that 5% on the first $5,000 in your account. It’s easy enough to click the button to enroll in e-statements, and once you set up direct deposit for your paycheck, it’s automatic. But the last requirement could be tricky. Keep track of those debit card purchases — if you fail to meet any of these requirements, your interest rate drops to just 0.05%! Northpointe Bank is located in Michigan, but anyone can open an account online. Another example is Consumer Credit Union’s Free Rewards Checking, which pays a 5.09% APY on balances up to $20,000! Keep that much in the account and you’ll collect over $1,000 annually in interest alone. You have to be a heavy debit and credit card user, but you can still earn 3.09% if you skip the last requirement. Normally, there are strict geographical or employment criteria for joining a credit union. But CCU says anyone can join. You just have to pay a one-time $5 fee to become a Consumers Cooperative Association member. The savings account I recently opened pays 5% and is FDIC-insured. To get it, I applied for a NetSpend debit Visa card. Once I received the card, I set up a direct deposit of $500 to get upgraded (automatically) to NetSpend Premier. It enabled me to take advantage of a linked savings account at MetaBank that pays 5% APY on balances up to $5,000 (the APY drops to 0.5% on any higher amount). The account takes a little work to set up because you have to load the card account and then transfer the money to the savings account. Here’s what I like about this arrangement: Once the work is done, the only thing I have to do is transfer a few dollars from my checking account to the card account. As long as I do this periodically, I avoid a 90-day $5.95 inactivity fee. I also opted for the pay-as-you-go plan for the card — it has no monthly fees. There are fees for using the debit card for purchases, ATM withdrawals or balance checks, but you can just leave the card home and check your balance online. Interest is paid quarterly. There are a few other prepaid card savings accounts that pay around 5% interest. Some have additional requirements. Some also have monthly fees that can reduce your return. For example, the Mango card charges a $3 monthly fee, but also has a linked savings account that pays 6% APY if your direct deposits total $500 per month. To get your money back out of these accounts, transfer it from savings to the debit card account. Then transfer it to your regular checking account. Quick warning: there are reports of transfer problems when trying to fund the account from some bank accounts. You may want to link your regular account and try transferring money back and forth before fully funding the debit card account. If you don’t have a linked account for withdrawals, you’ll have to access your money via an ATM, which involves fees. Or, you’ll have to spend it using the debit card. Most of these accounts only pay the high interest rates on balances of $5,000 or less. 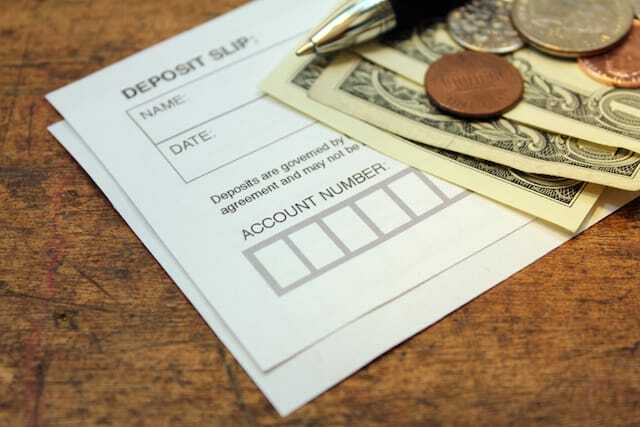 If you have substantial savings, you may want to open several accounts. Our tip: Start with the accounts that have simple requirements and options for avoiding all fees. Of course, it can be tricky to keep track of numerous accounts and their requirements (and to avoid inactivity fees). But, that’s just the way it is in this low-interest-rate environment. You have to exercise your organizational skills to make 5% on checking and savings accounts. Your Turn: What’s the APY on your checking and savings accounts?